Reliance Jio plans to start offering its fourth generation (4G) voice and data services on August 15, by offering “freedom from call charges” where users won’t be charged for local and STD voice calls. The Economic Times report quotes people familiar with its plans, and says the data plans will be cheaper compared to what rivals offer currently. In April this year, Reliance Jio’s soft launch took place with the service being rolled out to employees. The plan's name is a reference to India's Independence day falling in August, according to the people cited. 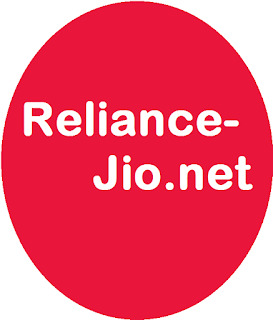 Reliance Jio initially started services for his employees on December 28, 2015 and then extended the offer to their friends and families by offering 5 Jio sim cards. Now it is offering free Jio simcards with Reliance Lyf handsets for a price of Rs.2,999. The offer comes with free unlimited data for three months, another source said. Reliance officials are tight-lipped about the introduction of the service and the offerings to be made by Jio during its rollout. The company now plans to offer free Jio sim cards to all 4G-enabled smartphone users in India, currently at less than 10 million, and expected to reach 50 million by the end of this fiscal. “Most of the 4G-enabled handsets in India have dual sim slots. The idea is to give free simcards to all the users with 4G-enabled smart phones. The user may use our high-speed voice and data services and am confident that with unmatched service experience, he will be a Jio consumer,” a third source said. With Reliance Jio, the focus it appears will be on speed and pricing. For now, Reliance is letting interested customers who register on the jio.com website, get an early preview to the service. The data services are free for three months on the 4G connection. The company already has 6 million consumers using Jio network, about 1.5 million of its own and 4.5 million of Reliance Communications consumers who migrated from CDMA to 4G (RCom has a network sharing pact with RJio).